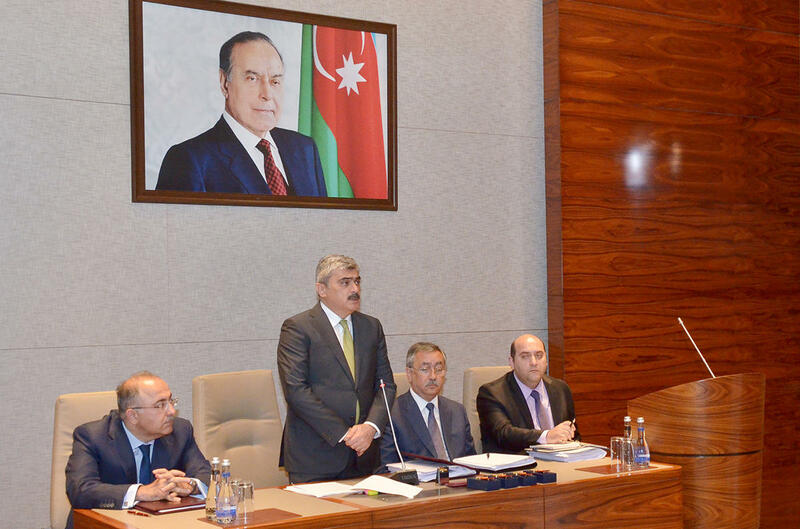 The Azerbaijani Finance Ministry will provide timely funding of pensions, grants, salaries, scholarships and other social payments in the second half of 2016, Minister Samir Sharifov said at the enlarged meeting of the Ministry’s Collegiums. He stressed that work on ensuring the transparency, efficiency and targeting of state and consolidated budgets was continued in the first half of 2016. “Within these six months, funding of all core obligations of the state, including salaries, allowances, pensions and other social spending and public debt obligations was provided,” the minister said. Sharifov further emphasized the need of creating financial support for the implementation of government programs, major international events, expanding of production areas,continuation of state support to small and average business, increased support to the agricultural sector, enhancing the defense capabilities of the country and the standard of living of the population. The meeting also discussed issues related to the changes made to the legislation, which address the violation of financial rules in the activities of budget organizations and the misuse of state funds. The Collegiums approved its new composition, measures on implementation of structural changes in the Ministry and discussed other issues. Then, five members of the Ministry were awarded with medals “For excellence in public service”.